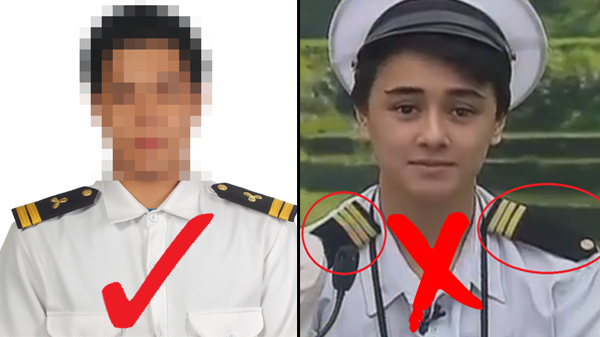 VIRAL: PBB Season 7 episode depicts improper pilot’s uniform? 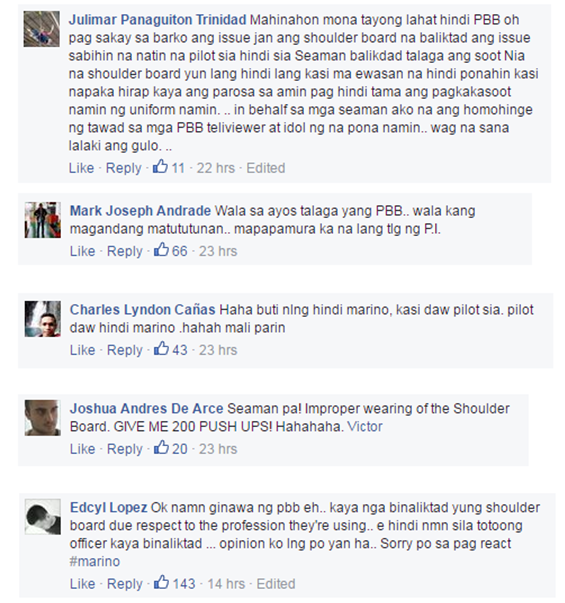 MANILA, Philippines – Netizens have reacted on improper uniform depiction on Monday’s episode (August 29) of ABS-CBN's reality show Pinoy Big Brother (PBB) Lucky Season 7. In the said episode, two housemates were given a task in which they’ll be in a stewardess and a pilot uniform. As a lesson to further improve teen housemate Edward Barber’s Tagalog, Big Brother gave a task. To assist him, another housemate Marydale 'May-May' Entrata was asked to read letters that will be coming from an airplane. With this, Barber has dressed up as pilot while Entrata into a flight stewardess. 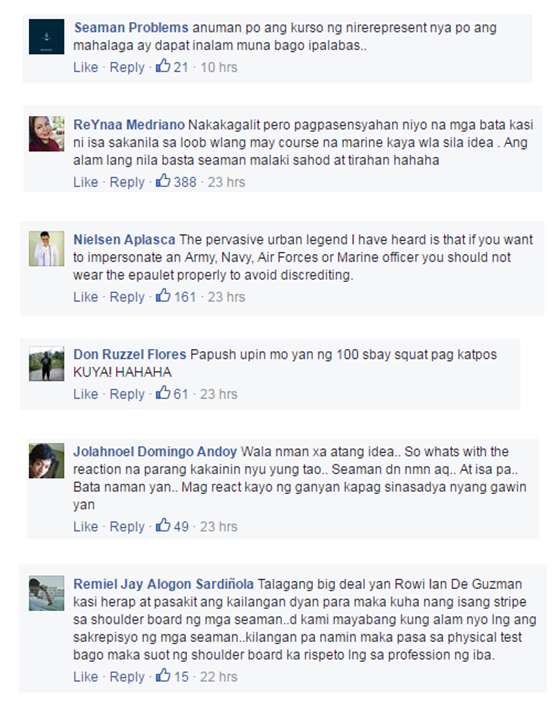 But just yesterday—August 30, netizens began reacting to the episode. As one Facebook page named “Seaman Problems” posted a photo of a clip from the show with Barber dressed up as a pilot, claiming the show portrayed an improper and incorrect position of a pilot’s shoulder board. A shoulder board or a shoulder mark also called an epaulette is a type of ornamental piece slipped on the shoulder strap of a uniform. It bears the rank of the wearer or his insignia. Shoulder boards are worn by personnel in the police, military, air, and naval forces and those in profession like seamen and pilots. These epaulette bears importance to its wearers as men of ranks build years and exhibit hard work to earn each stripe or emblem to be put on. This maybe the reason why netizens reacted quickly—mostly are seamen, their families and friends in the reality show’s episode. 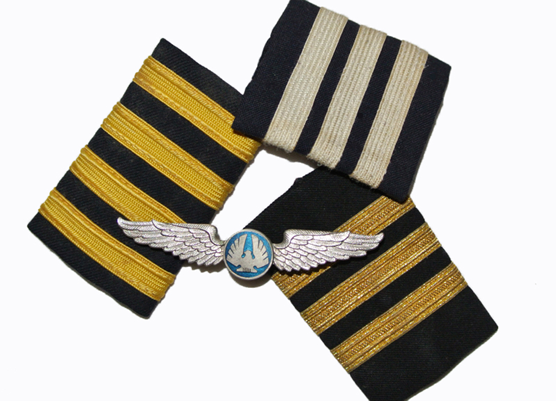 In the photo, the shoulder board is worn by Barber in an opposite direction, with the stripes inward not the other way around. As of press time, PBB is yet to comment on the issue.